Heavy mud flow at Pacific Coast Highway and Leo Carrillo made for a messy commute on Thursday, Dec. 6, 2018. 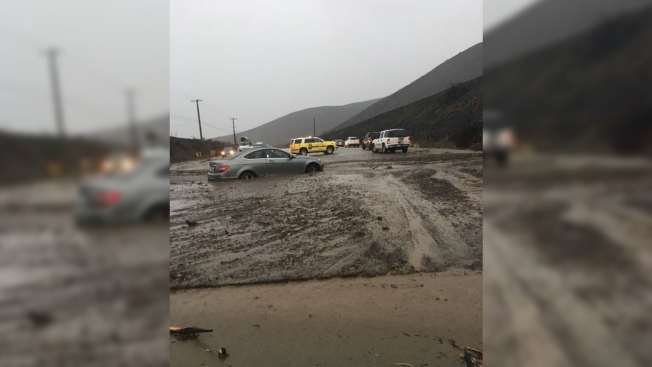 Pacific Coast Highway reopened Thursday night after being shut down for most of the day after a mudslide closed a stretch of the coast road between Los Angeles and Ventura counties. The highway was closed Thursday morning near Leo Carrillo State Beach. Crews cleared muck after a storm pounded the area that had been recently burned in the Woolsey Fire.